This is IT. The One. Yes, THAT One. The One you've been dreaming about. The One you've searched high and low for, hoping beyond hope it would appear one day. Your wait is over. TODAY is that day. 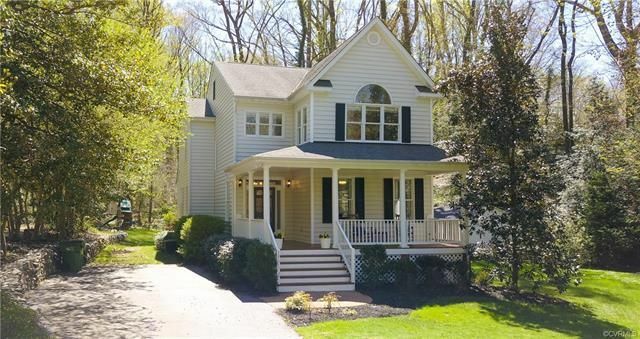 Welcome to 3901 Kenmore Road, conveniently located in the desirable community of Stratford Hills where you can be in your car and on Chippenham Pkwy in 30 seconds, or riding your bike along the banks of the James in less than 5 minutes. Or perhaps you'd prefer to stay home today... if you lived HERE, no one would blame you for that decision. The charming country front porch is the perfect place to relax in the shade with a good book and a tall glass of fresh lemonade, while the kids are making memories that will last a lifetime as their imaginations run wild in their private backyard, over 400' deep and highlighted by a creek. There's much to LOVE inside too- from the 9' ceilings and hardwood floors throughout the main level, to the eat-in kitchen with gas cooking and sleek new granite countertops, to the incredible master suite with a spa-like bath. And we haven't even made it to the detached 300+ sq. ft. building with HVAC and cable! Don't let this be The One that got away. See it today.